Random Vegas - Most famous run at roulette happened in 1875 at the Monte Carlo Casino. Joseph Jagger (British enginer) noticed the wheel was slightly off center and caused a group of 9 numbers to hit more frequently than normal. Known as “the man who broke the bank at Monte Carlo. Before he was done, he won $700,000. Today, people who try to cheat a roulette use concealed computers that use physics to track the speed of the ball to determine the mostly likely number it will land on. 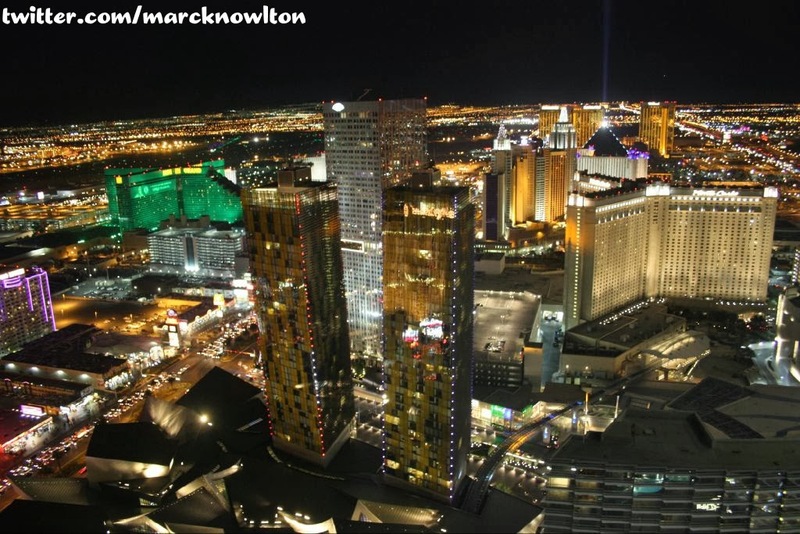 This week’s winner goes to @marcknowlton for his stunning picture of south strip from the balcony of his room as Cosmopolitan. 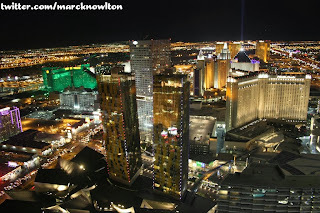 This picture captures Veer, Mandarin, Monte Carlo, MGM, NYNY, Excalibur, Luxor & Mandalay Bay at night. I particularly love Veer in this picture. The glass on the towers seems to shimmer gold at night and it looks amazing. It’s the kind of picture that makes you long for your next trip to Vegas.